Phoebe Bridgers and Conor Oberst surprised us with the self-titled debut from their new band Better Oblivion Community Center last week, and now the pair have unveiled a video for album track "Dylan Thomas." 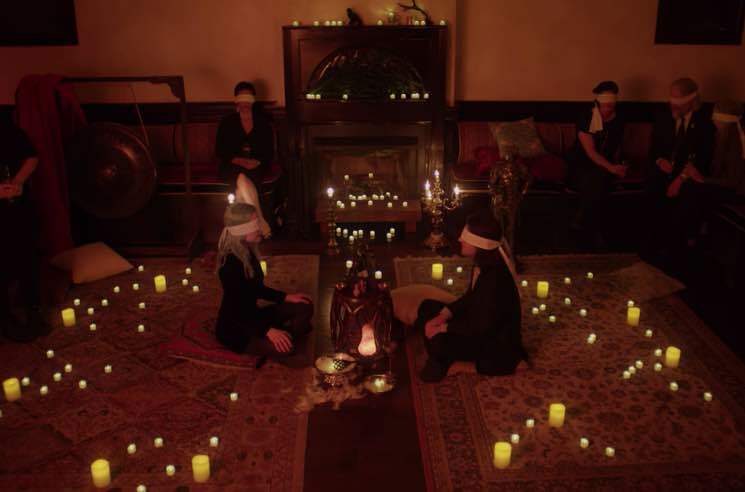 The clip sees Bridgers and Oberst performing on an ornately decorated stage as some sort of blindfolded virtual reality séance takes place around them. The group have also announced plans to tour the U.S. and Europe, but sadly, Canadian fans will have to make do with watching the "Dylan Thomas" video for now. Check it out below. While Better Oblivion Community Center's album is out now digitally, the physical version will arrive on February 22 via Dead Oceans.